Wendy Cope was Radio 4’s Poetry Please listeners' first choice for Poet Laureate following the death of Ted Hughes in 1998. She is one of the UK’s most popular poets and will be visiting Haworth and reading from, and discussing, a selection of her hilariously wry, ironic poetry for one night only - at 7.30pm on Saturday 10 November at the West Lane Baptist Centre. "Wendy Cope has achieved both critical and popular acclaim through her poetry and it’s wonderful that she will be performing here in Haworth. 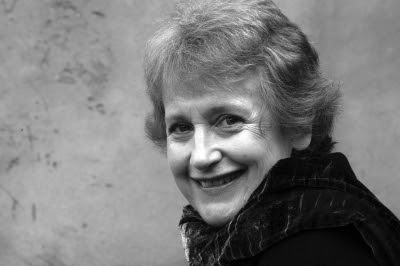 Wendy Cope’s poetry collections include Making Cocoa for Kingsley Amis (1986), Serious Concerns (1992) and If I Don't Know (2001), which was shortlisted for the Whitbread Poetry Award. She received a Cholmondeley Award in 1987 and was awarded the Michael Braude Award for Light Verse (American Academy of Arts and Letters) in 1995. She has also edited a number of poetry anthologies including The Orchard Book of Funny Poems (1993), Is that the New Moon? (1989), The Funny Side: 101 Humorous Poems (1998), The Faber Book of Bedtime Stories (1999) and Heaven on Earth: 101 Happy Poems (2001). Tickets are £7.50/ £5 (under 16s) and should be booked in advance.